Across the street from the venerable University of Toronto, at the intersection of College Street and Elizabeth Street in downtown Toronto, you will find the heart of Toronto’s commercialization activity across the sciences: MaRS Innovation. If you share the values of Marc Andreessen, the American entrepreneur, investor and software developer who revolutionized a very small part of San Francisco to become the world famous Silicon Valley, you will appreciate learning about the contemporary Canadian version of biomedical Silicon Valley. 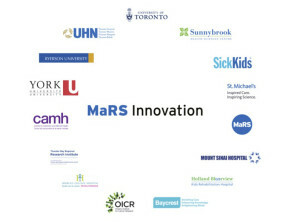 MaRS Innovation was founded in 2008 and began operations in 2009 to turn Toronto’s leading research and sciences into successful start-up companies and license deals. I really love this part of Toronto. I used to tackle my research on zebrafish heart development on the 11th floor of the MaRS building’s East Tower (MaRS Innovation’s offices occupy part of the 4th floor on the West Tower). So, I am no stranger to Toronto’s life sciences scene. But the story of how MaRS Innovation landed in Toronto and found its home is worth sharing. Prior to the 8th Charité Entrepreneurship summit in Berlin, Germany, I spoke to Dr. Raphael Hofstein, president and CEO of MaRS Innovation about his vision for open access and open innovation models. Here is what he had to say. Q1: What is MaRS Innovation: an innovation hub, a medical and health care technology accelerator/incubator or all of that together? RH: We are the outcome of the Government of Canada’s fairly tenacious campaign to close the gap between Canada’s highly-qualified scientific research and its commercialization success. So, we really try to help start-ups bridge the “valley of death” and we do that in a very distinct way. 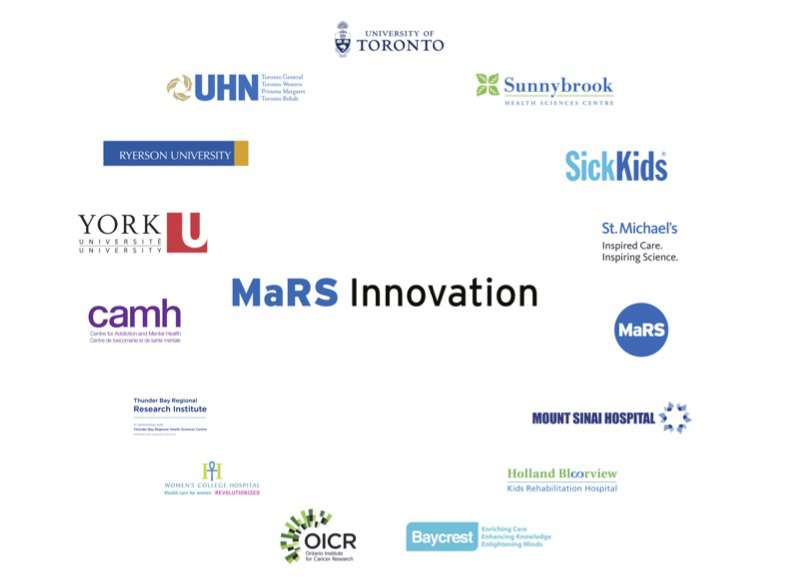 Particularly, every new exciting research idea coming out of the 15 institutions in and around the Toronto area is disclosed to MaRS Innovation. As the agency of these 15 member institutions, we have to select the ideas with the best chances of successful commercialization in the shortest possible time. That is essentially what MaRS Innovation is: a research and innovation pipeline. Every year, scientific organizations disclose between two and 15 intended projects; we select approximately 15 per cent of what we see. Since 2009, we have seen about 1500 ideas, which we successfully converted under our management into over 100 technologies. Some of them turned into start-up companies, or options/licenses to a third-party or private sector entity. Other inventions are blended or packaged together and to be more appealing to the market. Q2: How do you see a role of open access and open innovation processes in life sciences? RH: To highlight open innovation models in life sciences, I would like to emphasize that there are different understandings of this process. So, I need to specify an invisible margin where life sciences research should be open, and where interaction with business should not be transparent. Personally, I am for open access and open data sharing, which should benefit scientists, medical doctors, and entrepreneurs, especially at the initial stage of discovery. Later on, the research becomes industry-driven and requires a proper investment from the private sector, including big pharma and life sciences industry. Let me give you one most recent example. Due to a successful partnership with Quebec-based Consortium for Drug Discovery (CQDM), MaRS Innovation founded a company named Encycle Therapeutics, a University of Toronto biotechnology start-up. Interestingly, being a start-up venture, Encycle has two sub-divisions. One addresses the basic essence of all CQDM activities and represents an open innovation part; using the chemistry of peptides to develop an approach to synthesizing small, drug-like macrocycles. Encycle is creating a library of cyclic peptides, called nacellins, which are small macrocycles or cyclic peptidomimetics. This library is completely open and freely available to every pharma outlet who is interested in testing or developing orally bioavailable modulators of proteins, including small-cell permeable systems. That approach fits well positioned into a concept of open access. The other Encycle subdivision is commercially focused and working with industry partners to create proprietary technologies. Another example is the adoption of embryonic stem cell lines for medical repair. Such cell lines should serve as a foundation for the further development of cell-based technologies and the public should have free access to it. As soon as it concerns further derivation and differentiation of stem cell lines for specific medical indications, it becomes part of proprietary ownership to the developer/investor since it requires a substantial investment into research and development. That part should be closed for public use. As we can see, a major issue of open innovation remains on where we have to draw a borderline between the public and private use. In terms of the drug discovery process, I believe it could be at phase 1 stage of clinical development. In Toronto, we have a very strong advocate of open access and open innovation, Dr. Aled Edwards. 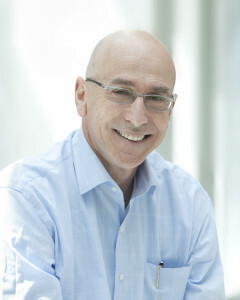 Aled Edwards leads the Structural Genomics Consortium (SGC), a private-public open collaborative network of researchers from the University of Toronto, the University of Oxford, UK and the State University of Campinas (Unicamp) in Brazil working together with nine global pharmaceutical companies and several research funding agencies. This is a unique, first open science international institution that offers completely free access and use of research results focused on unrestricted drug discoveries. I think it is a great example of open innovation in practice. However, in later stages, clinical development requires appropriate investments and, in reality, cannot be supported through open access. Therefore, I see managing this process as the technologies develop as quite challenging in its practical realities. Q3: Do you think that big data, open science, and a worldwide network could in the future precisely tailor therapies to each patient’s individual requirements? RH: I am a big proponent of big data. I think an open innovation model in big data science may play a greater role. At MaRS Innovation, we engage with IBM and several venture capital groups working on harnessing big data for medical purposes. Also, pharma companies expressed strong interest in having access to medical records which represent a high-value ‘big data treasure’ within our member institutions. However up to now, it has not been easy to fulfil our dreams of turning big data into a big practical opportunity. It is obviously a work in progress! Finally, it is my expectation that mining through big data collections of patient medical records (contingent on strict patient privacy!) will significantly accelerate the development of precision medicine (aka personal medicine). The global medical community should be prepared to address the trend.